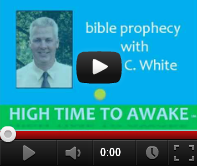 We get the word Revelation from the Greek word apokalupsis (ap-ok-al’-oop-sis). Apokalupsis or Apocalypse is translated as Revelation. It means to reveal or disclose. So the Revelation of Jesus Christ is when Jesus returns to earth in all his glory and in judgment. The whole world will see the glory of God in Jesus. 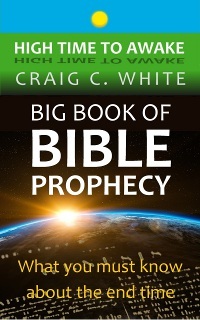 The Revelation of Jesus Christ will reveal God’s wrath and revelation of righteous judgment. 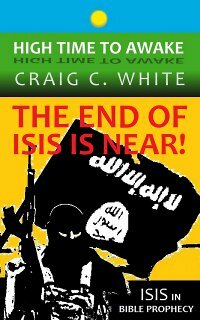 During the Revelation or “second coming”, Jesus Christ will subdue all the armies that have gathered against Israel. While dispensing God’s wrath, Jesus will take a prescribed route. 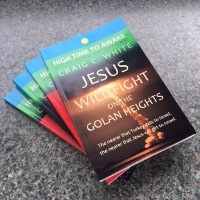 Many bible students think that Jesus will descend out of heaven and touch down on the Mount of Olives. Jesus will in fact stand on the Mount of Olives but not at first. I think Jesus will take a more circuitous route during his Revelation. His route will be one that we have seen before. The route of Jesus Christ’s Revelation will be very similar to the route that Israel followed out of Egypt as God led them. Come with me as I follow the Revelation Wrath Path. 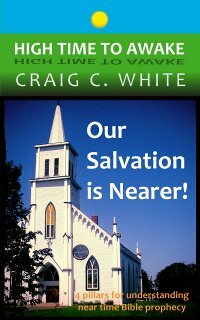 This commentary chronicles Jesus’ path of Revelation and vengeance at the end of the tribulation. Surprisingly this journey does not begin in Jerusalem. As a matter of fact it doesn’t end in Jerusalem either. Instead God begins the Revelation of Jesus out of Egypt! Num 24:8-9 God brought him forth out of Egypt; he hath as it were the strength of an unicorn: he shall eat up the nations his enemies, and shall break their bones, and pierce them through with his arrows. 9 He couched, he lay down as a lion, and as a great lion: who shall stir him up? Blessed is he that blesseth thee, and cursed is he that curseth thee. When Jesus was a boy God called him out of Egypt. Like many prophecies this one has two distinct applications separated by time. At Jesus’ second coming God will again call his son out of Egypt! That will be a day of wrath and revelation of righteous judgment. Jesus will ride out of heaven into Egypt on a cloud. Trust me this is a scary cloud. The following verse was written long after God delivered the nation of Israel from Egypt; so it cannot pertain to Israel’s exodus out of Egypt. Isa 19:1-2 The burden of Egypt. Behold, the LORD rideth upon a swift cloud, and shall come into Egypt: and the idols of Egypt shall be moved at his presence, and the heart of Egypt shall melt in the midst of it. 2 And I will set the Egyptians against the Egyptians: and they shall fight every one against his brother, and every one against his neighbour; city against city, and kingdom against kingdom. Verse 2 (above) sounds like what is happening in Egypt today, however when Jesus passes through Egypt; the people will be completely confounded. The Revelation of Jesus Christ will be terrifying. 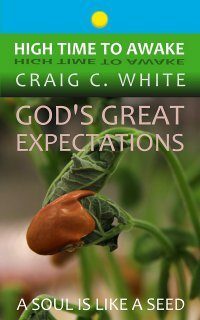 Christ’s return is a whirlwind tour! Habakkuk prophesies about Jesus next location. Check out the Revelation Wrath Path map bellow for these bible locations. Remember that the route of the Revelation of Jesus is very similar to the route that Israel took out of Egypt. 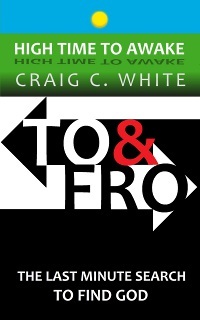 Hab 3:3-7 God came from Teman, and the Holy One from mount Paran. Selah. His glory covered the heavens, and the earth was full of his praise. 4 And his brightness was as the light; he had horns coming out of his hand: and there was the hiding of his power. 5 Before him went the pestilence, and burning coals went forth at his feet. 6 He stood, and measured the earth: he beheld, and drove asunder the nations; and the everlasting mountains were scattered, the perpetual hills did bow: his ways are everlasting. 7 I saw the tents of Cushan in affliction: and the curtains of the land of Midian did tremble. Notice that Habakkuk is telling us where Jesus is coming from! 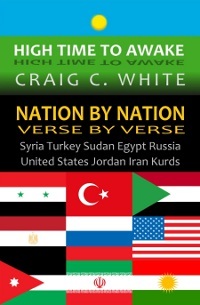 Habakkuk’s vantage point is in southern Edom (Jordan) as he describes Jesus’ path of fury across Eastern Egypt, then northwestern Saudi Arabia, and into Southern Jordan. “The Holy One” is on the march! 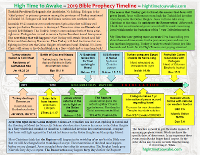 Revelation Wrath Path: Map of Jesus Christ’s return trip at the end of the 7 year tribulation period. Called “the day of the LORD”, or “the day of the LORD’S wrath”. Jesus will destroy all the armies that have come against Israel! It is a day of wrath and revelation of the righteous judgment of God (Rom 2:5). Teman is the southernmost city in ancient Edom (southern Jordan). 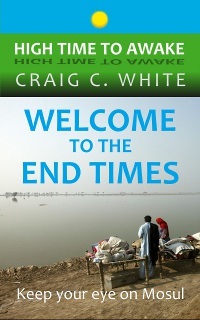 Jesus continues his Revelation Wrath Path from the Red Sea into Edom. Jer 49:19-22 Behold, he shall come up like a lion from the swelling of Jordan against the habitation of the strong: but I will suddenly make him run away from her: and who is a chosen man, that I may appoint over her? for who is like me? and who will appoint me the time? and who is that shepherd that will stand before me? 20 Therefore hear the counsel of the LORD, that he hath taken against Edom; and his purposes, that he hath purposed against the inhabitants of Teman: Surely the least of the flock shall draw them out: surely he shall make their habitations desolate with them. 21 The earth is moved at the noise of their fall, at the cry the noise thereof was heard in the Red sea. 22 Behold, he shall come up and fly as the eagle, and spread his wings over Bozrah: and at that day shall the heart of the mighty men of Edom be as the heart of a woman in her pangs. Reading carefully we can see that Jesus is coming “up” from the Red Sea (Gulf of Aqaba) north to Bozrah. Jesus has spread his vengeance over all of Edom (southern Jordan). Notice that Jesus’ path is circumnavigating the land of Israel just as the nation of Israel did in the exodus. 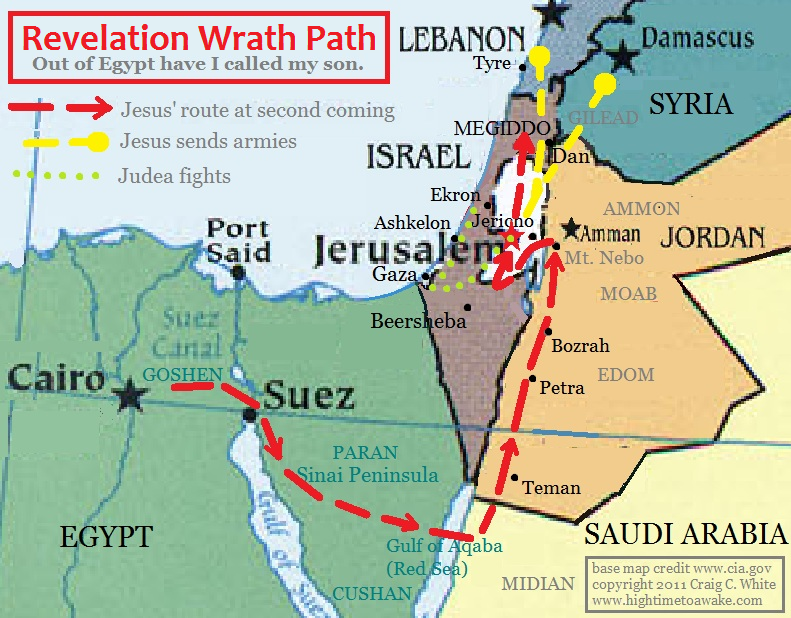 Jesus’ Revelation Wrath Path follows the same route as the exodus! Note: Edom (which is the land of Esau, Jacobs’ brother) would not let Israel pass through their land during the exodus out of Egypt. Israel had to go around Edom through the desert on the east side (Num 20:14-21). 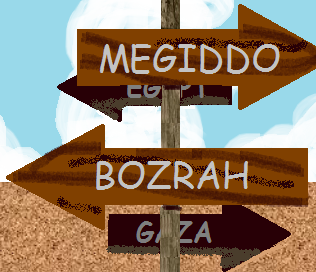 Edom (southern Jordan) has demonstrated his hatred for Israel at other times. Esau and his descendants ransacked their brother Israel after he was defeated. Read about it in Obadiah (it is just one chapter). 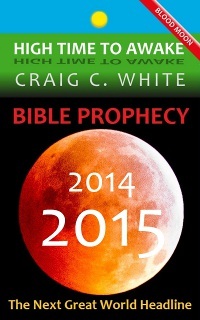 The Revelation Wrath Path continues below; the prophet Isaiah prophesies about Jesus coming from Edom and Bozrah. Isaiah’s vantage point is from Moab near today’s Amman, Jordan. Isaiah sees Jesus just after he has poured out his wrath on all of Edom. Isa 63:1-4 Who is this that cometh from Edom, with dyed garments from Bozrah? this that is glorious in his apparel, travelling in the greatness of his strength? I that speak in righteousness, mighty to save. 2 Wherefore art thou red in thine apparel, and thy garments like him that treadeth in the winefat? 3 I have trodden the winepress alone; and of the people there was none with me: for I will tread them in mine anger, and trample them in my fury; and their blood shall be sprinkled upon my garments, and I will stain all my raiment. 4 For the day of vengeance is in mine heart, and the year of my redeemed is come. Some people say that in Isa 63:3 (above) Jesus is sprinkled with the blood of the cross. He isn’t. Christ shed his own blood on the cross. Here his garments are stained with the blood of Israel’s enemies. The Revelation of Jesus Christ will be terrible. Here the armies are amassed in Edom (see note below). Note: Bozrah is a suitable site for the armies from the east of the Euphrates River to gather for their invasion of Israel. It is on a large desert plain on the west side of the North Arab Desert. U.S. armed forces gathered on the east side of this desert plain to invade Iraq during Desert Storm. Below; the prophet Jeremiah foretells of the year of Moab’s visitation. Notice the similar imagery as in Jer 4:13 (see previous chapters); Jesus will spread his wings over Moab like an eagle taking his prey. Jer 48:40-44 For thus saith the LORD; Behold, he shall fly as an eagle, and shall spread his wings over Moab. 41 Kerioth is taken, and the strong holds are surprised, and the mighty men’s hearts in Moab at that day shall be as the heart of a woman in her pangs. 42 And Moab shall be destroyed from being a people, because he hath magnified himself against the LORD. 43 Fear, and the pit, and the snare, shall be upon thee, O inhabitant of Moab, saith the LORD. 44 He that fleeth from the fear shall fall into the pit; and he that getteth up out of the pit shall be taken in the snare: for I will bring upon it, even upon Moab, the year of their visitation, saith the LORD. Note: When Israel reached Moab during the exodus they subdued several Kingdoms and lived in their land until they entered the land of Israel. Moab was against them during this time. Israel finally pitched their camp on the east side of the Jordan River near Jericho (Num 33:50). Jesus is now in Moab which is just across from Jericho east of the Jordan River. This is where the nation of Israel entered the land of Israel during the exodus and forty year wilderness wandering. 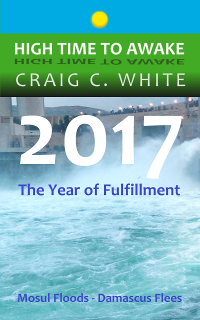 The Revelation Wrath Path continues to follow the path of the Exodus. Jesus is about to turn west to enter the land of Israel. Below; Zechariah tells us that Jesus will save “the tents of Judah” before he saves the city of Jerusalem! It may be that “the tents of Judah” (above) are those of Judea who fled to the mountains (see below). They have been living there for 3 ½ years. “Wings of a great eagle” (above) refers to God’s supernatural help given to Israel in time of flight. This idiom is applied to Israel during the exodus in Exo 19:4. It is also applied to Israel’s deliverance from Jerusalem at the end of the tribulation in Isa 40:31. At the end of the tribulation Jerusalem will be devastated; however there will still be a remnant of believing Jews. Zec 14:2-5 For I will gather all nations against Jerusalem to battle; and the city shall be taken, and the houses rifled, and the women ravished; and half of the city shall go forth into captivity, and the residue of the people shall not be cut off from the city. 3 Then shall the LORD go forth, and fight against those nations, as when he fought in the day of battle. 4 And his feet shall stand in that day upon the mount of Olives, which is before Jerusalem on the east, and the mount of Olives shall cleave in the midst thereof toward the east and toward the west, and there shall be a very great valley; and half of the mountain shall remove toward the north, and half of it toward the south. 5 And ye shall flee to the valley of the mountains; for the valley of the mountains shall reach unto Azal: yea, ye shall flee, like as ye fled from before the earthquake in the days of Uzziah king of Judah: and the LORD my God shall come, and all the saints with thee. At last Jesus arrives in Jerusalem! He stands on the Mt. of Olives and saves the believing Israeli remnant that is bunkered at Mt. Zion (read my commentary “The last Jews in Jerusalem“). Let me take a moment and make a side point. In Isa 63:3 Jesus proclaims that he has vanquished the enemies of Israel alone (see previous chapters). This verse specifically references the battle at Bozrah in Edom. I think that Jesus will fight alone until he will “save the tents of Judah first” (Zec 12:7), he then continues with the inhabitants of Judea into the city of Jerusalem. From Jerusalem Jesus sends armies into Gaza and up the coast of Israel to the cities of Ashkelon and Ekron (see chapters below). Jesus himself continues north out of Jerusalem. 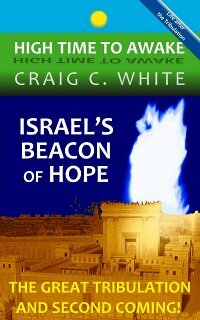 Above “The LORD of hosts (armies)” ignites the inhabitants of Judea to fight against their enemies in Jerusalem. Guess what, the fight doesn’t end in Jerusalem. 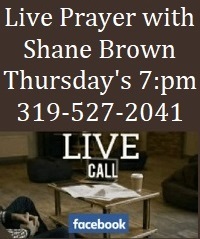 After Jesus delivers Jerusalem he will speak from Jerusalem, and send armies to Syria, Lebanon, and Gaza. Amo 1:2-10 And he said, The LORD will roar from Zion, and utter his voice from Jerusalem; and the habitations of the shepherds shall mourn, and the top of Carmel shall wither. 3 Thus saith the LORD; For three transgressions of Damascus, and for four, I will not turn away the punishment thereof; because they have threshed Gilead with threshing instruments of iron: 4 But I will send a fire into the house of Hazael, which shall devour the palaces of Benhadad. 5 I will break also the bar of Damascus, and cut off the inhabitant from the plain of Aven, and him that holdeth the sceptre from the house of Eden: and the people of Syria shall go into captivity unto Kir, saith the LORD. 6 Thus saith the LORD; For three transgressions of Gaza, and for four, I will not turn away the punishment thereof; because they carried away captive the whole captivity, to deliver them up to Edom: 7 But I will send a fire on the wall of Gaza, which shall devour the palaces thereof: 8 And I will cut off the inhabitant from Ashdod, and him that holdeth the sceptre from Ashkelon, and I will turn mine hand against Ekron: and the remnant of the Philistines shall perish, saith the Lord GOD. 9 Thus saith the LORD; For three transgressions of Tyrus, and for four, I will not turn away the punishment thereof; because they delivered up the whole captivity to Edom, and remembered not the brotherly covenant: 10 But I will send a fire on the wall of Tyrus, which shall devour the palaces thereof. In verse 4 (above) “Hazael” was the King of Syria. In verse 7 “sending a fire” means that God will stir up a devouring army. In this case I think that the men of Judea will fight Israel’s enemies in Gaza then fight their way up the Mediterranean coast to the Israeli cities of Ashkelon and Ekron. This similitude of “sending a fire” is often used in the bible to mean that God ignites an army to overtake a city or region. 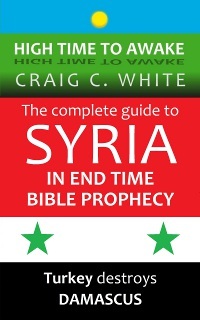 In verse 4 above Jesus may also be sending an army into Syria and Lebanon. I think that Jesus will now tread the wine press inside the land of Israel! In Zephaniah (below) God gives us a time schedule for accomplishing the wars described in Amos 1:6-8 (above). 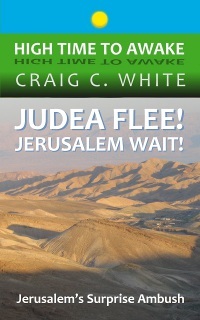 It sounds like the inhabitants of Judea will vanquish their enemies in one day! After Jesus saves the stranded remnant in Jerusalem he will journey north to tread the winepress of his wrath; he will tread inside the land of Israel but outside the city of Jerusalem (Revelation 14:20). This portion of the Lord’s crusade is called “the battle of Armageddon”. This battle is fought in the valley of Megiddo in northern Israel (see map above). God will gather the armies of Israel’s enemies there. 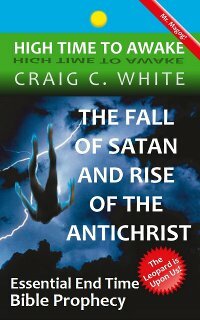 The battle of Armageddon is a demonstration of God’s wrath and revelation of righteous judgment. Jesus crushes the armies of Israel’s enemies like grapes. Their blood flows like wine for one hundred eighty miles; the distance from Dan to Beersheba in Israel. Revelation 14:19-20 And the angel thrust in his sickle into the earth, and gathered the vine of the earth, and cast it into the great winepress of the wrath of God. 20 And the winepress was trodden without the city, and blood came out of the winepress, even unto the horse bridles, by the space of a thousand and six hundred furlongs. The Lord Jesus Christ will go “out of his place” (namely, out of Jerusalem) to punish Israel’s enemies. 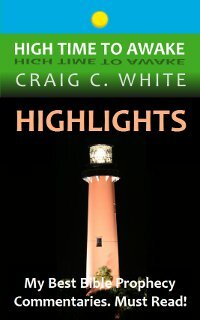 All of Israel’s enemies will see the Revelation of Jesus Christ’s righteous indignation. Jesus will punish the nations for their rebellion towards him. Then he will rule all nations forever. Amen. We have mainly looked at the path of Revelation and vengeance that Jesus will take when he returns to earth to destroy Israel’s enemies. “The day of the Lord” is a terrible day. It is a subject that deserves thorough study. It is a day to escape by all means. Joel 2:10-11 The earth shall quake before them; the heavens shall tremble: the sun and the moon shall be dark, and the stars shall withdraw their shining: 11 And the LORD shall utter his voice before his army: for his camp is very great: for he is strong that executeth his word: for the day of the LORD is great and very terrible; and who can abide it? Jesus died so all people could escape this day of wrath. Wrath is the punishment of non-believers. Do not harden your heart towards God! Because we sin, Jesus Christ’s blood was spilled so our life could be preserved. Jesus has saved us from the wrath of “the day of the Lord” and from the punishment of our sin. 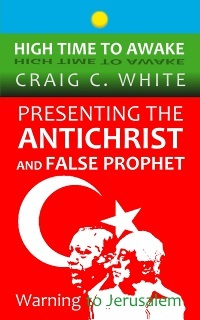 The Revelation of Jesus Christ will reveal God’s wrath and revelation of righteous judgment. 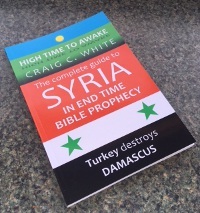 Ezekiel 38 39 is about chief prince of turkey coming to fight the south king. I always wondered who the south king was til now. It sounds like Jesus himself! Both heading toward the Day Of the Lord and battle of Megiddo. Sorry but Gog Magog war is not before tribulation as you and many other scholars believe but it is obviously describing the day of the Lord battle at end of tribulation. Just compare the imagery in these verses. I agree with u that turkey invades syria before trib though. And why o why people still believe Russia is involved is craziness all based on that little word rosh and mistsken scythian notions. But I could be wrong and you could be right but please see for yourself whether u think Ezekiel 38 39 could possibly be the end time war as myself and other bible scholars are now saying. I think you will find it fits better. 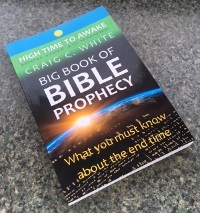 ps The trick is the 7yrs mentioned in Ezekiel 39 makes people think of the tribulation but look at what they are doing – burning up weapons and burying the dead. This seems to me to be the first 7yrs of the Millenium. Brian: Ezekiel chapter 38 describes a separate battle than Ezekiel chapter 39. I agree that Ezekiel 39 describes the battle of Armageddon that happens at the end of the tribulation. Israel will burn the weapons for seven years. Ezekiel gives two separate warnings with two separate introductions. 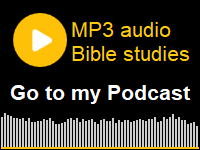 Both Ezekiel chapter 38 and 39 describe a Turkish led invasion into Israel. But the fates of the invaders are different. In Ezekiel 38 God causes the invaders to retreat. In Ezekiel 39 Jesus kills the invaders so that the birds eat them. 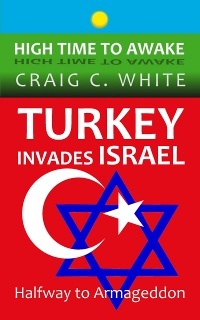 In Ezekiel 38 Turkey leads Iran, Libya, and Sudan into Israel. 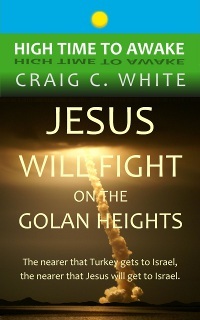 Please realize that these nations are already fighting against Israel on the Golan Heights! The Turkish Army has already entered Syria. 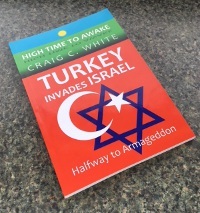 The Ezekiel chapter 38 Turkish led invasion into Israel is going to happen soon! By the way, Ezekiel 38 and 39 do not mention the king of the south.